Kathleen joined PHA in 2006 and has 30 years housing experience in a range of organisations mainly in the Housing Association sector. Kathleen has a BA Honours Degree, the Diploma in Housing Studies, a Counselling Certificate and is a Member of the Chartered Institute of Housing. Kathleen’s current focus is: on moving to the new office Assurance House in 2019; implementing the £2.4 M environmental strategy by 2027 and progressing development across 4 sites in Paisley. Please contact Kathleen.mccutcheon@paisleyha.org.uk or 0141 583 4108. Elaine has been Technical Manager since 2006 and has responsibility for the procurement and delivery of reactive, cyclical and planned maintenance services. Elaine has MA (Hons) degree, the Diploma in Housing Studies, a Certificate in Management and is a Corporate Member of the Chartered Institute of Housing. Please contact elaine.thomson@paisleyha.org.uk or 0141 583 4104. Lorna Colville joined the Association in 1997 and has responsibility for all financial and IT services within the Association. Lorna has a Bachelor of Accountancy degree and is a member of ICAS. Please contact lorna.colville@paisleyha.org.uk or 0141 583 4105. Lorna Gilroy joined the Association in 2003 and has responsibility for all Housing Services and Factoring within the Association. Lorna has a Higher National Diploma in Business Studies, the Diploma in Housing Studies and is a Member of the Chartered Institute of Housing. Please contact lorna.gilroy@paisleyha.org.uk or 0141 583 4103. Tracy Fraser joined the Association in 2003 and has responsibility for the day to day delivery of Housing Services and Factoring within the Association. Tracy has the Diploma in Housing Studies and is a Member of the Chartered Institute of Housing. Please contact tracy.fraser@paisleyha.org.uk or 0141 583 4106. 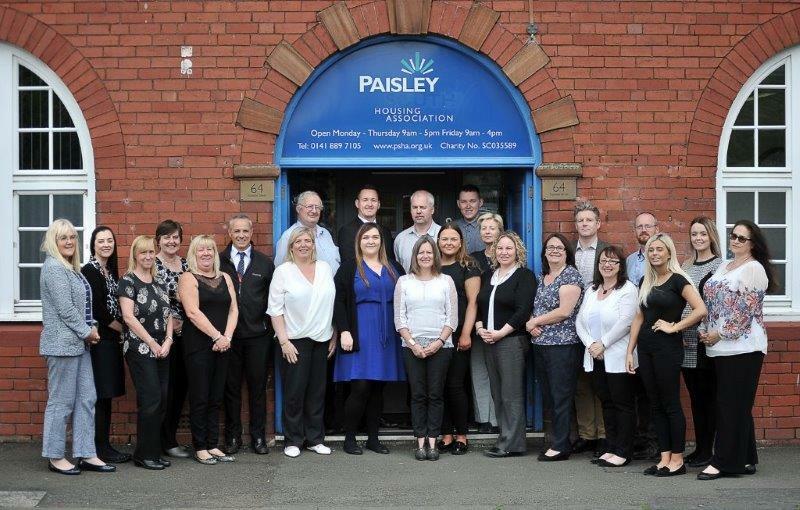 Paisley Housing Association has 36 staff with significant experience in the areas of Finance, Technical Services, Housing Advice, Welfare Benefits and Factoring. A number of Staff have professional and specialist training and qualifications in the areas of housing, accountancy, counselling, mediation, health & safety and energy efficiency. Paisley HA ensures all Staff have the necessary skills, experience and qualifications to ensure our customers receive the best possible care and advice.